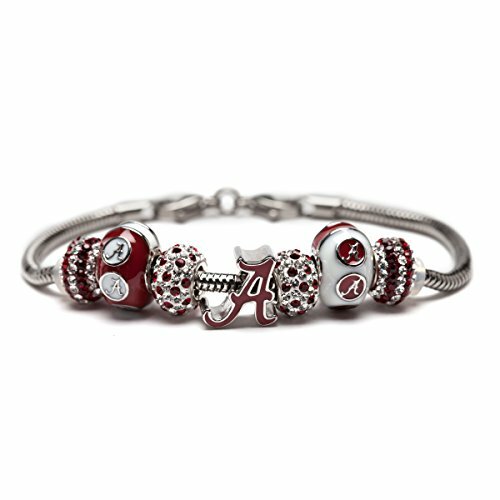 This crimson and white charm bracelet is guaranteed to turn some heads! 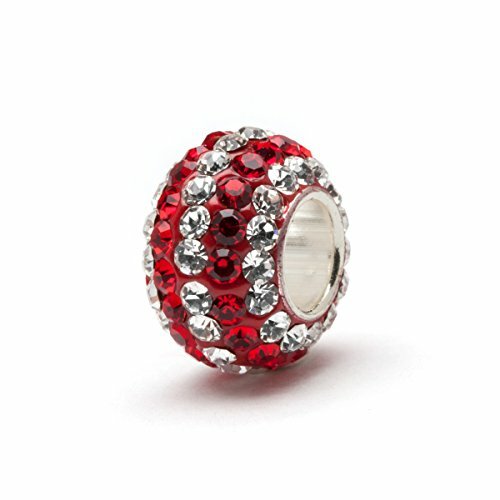 Made of three Alabama college beads and four Arabian crystal beads. Lifetime guarantee. 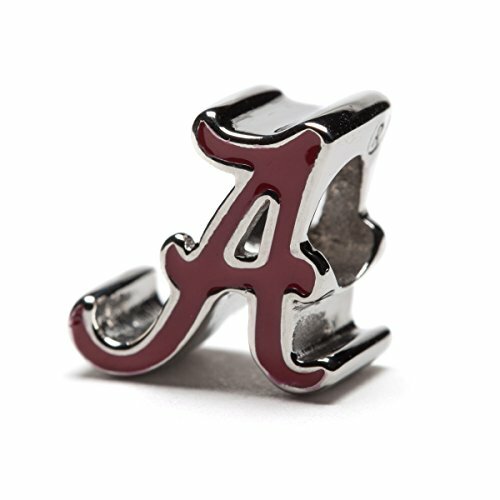 Officially licensed by University of Alabama. 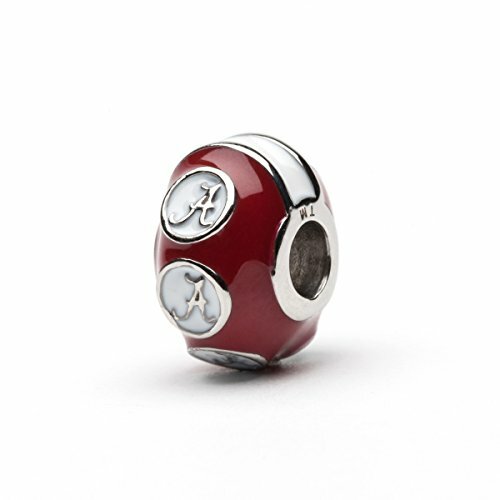 This Alabama charm bracelet fits wrist sizes 6-8.5"
All University of Alabama jewelry is made with high-quality stainless steel. 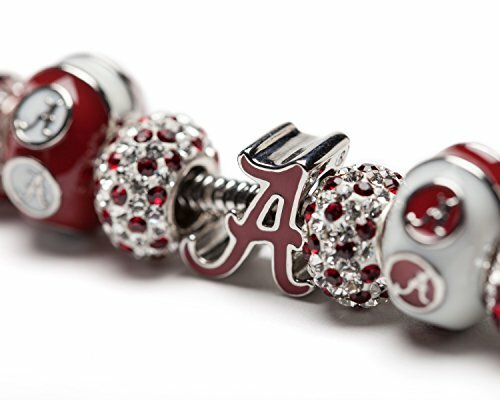 University of Alabama jewelry ships within 24-48 business hours, lifetime guaranteed. 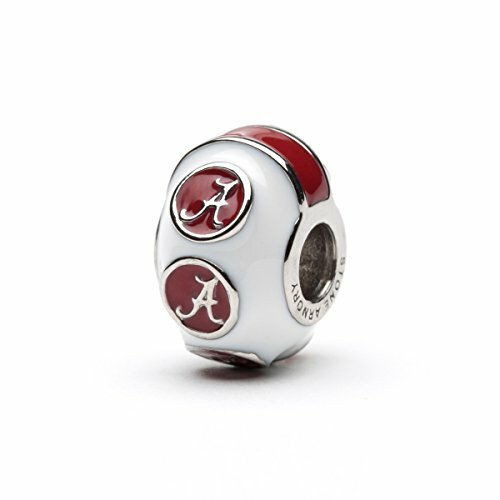 This University of Alabama is the perfect Alabama gift for Crimson Tide fans, students, and alumni. 14k Yellow Gold Italian Station Beaded Star Charm Bracelet, 7"
14k Solid Real Yellow Gold Link Charm Bracelet 7 1/4"